Salon Juchmann is my first curatorial project. 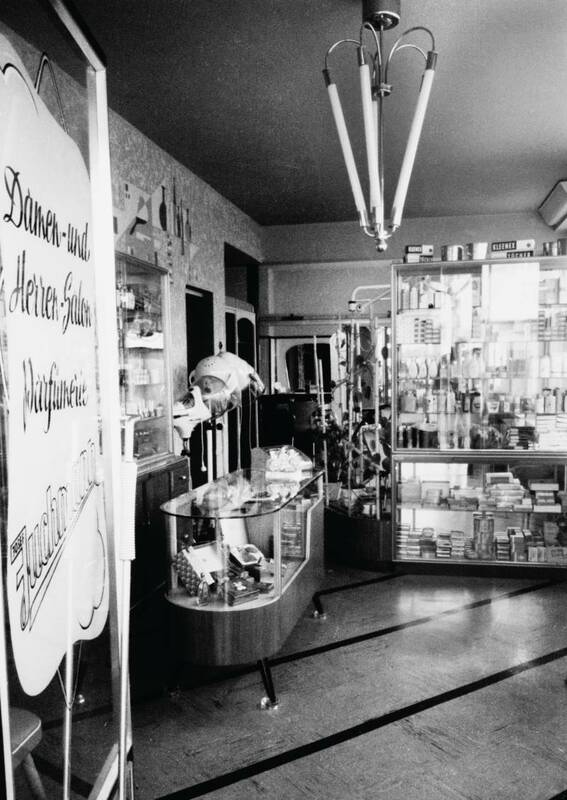 It is dedicated to my grandparents, which shaped the social life of Arnsberg with their barbershop of the same name. They had to close it in the 1980’s. Since then much has changed in Arnsberg, which is, like many small towns throughout Europe, struggling with demographic and economical changes. While the inner city with it‘s small shops once was a place for social life and communication, there are now just vacant buildings. With this exhibition I brought six artists with their artworks from Berlin to create a place of exchange in the meaning of Salon. The exhibition took place in display windows of a former shop in the very centre of the town. The artists were present in the period of the exhibition and the shop space was used for lectures, artist talks and film presentations. My family ties and the use of the barbershop name gave personal starting points for conversations and exchange. Residents came and talked about the past and the future. We drew their attention to the art pieces and the program. This made possible some encounters between different realities of life. Within the frame of the exhibition a brochure was published.